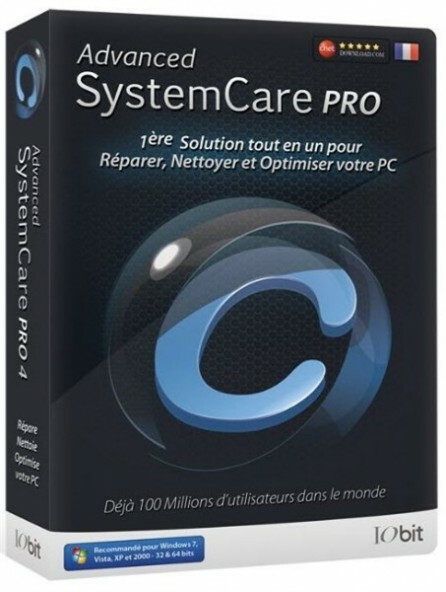 Advanced SystemCare 9.3.0.1121 - программа, которая включает в себя множество модулей для настройки, оптимизации, повышении производительности компьютера, у программы появился новый интерфейс и несколько новых модулей. Категории и теги: Программы » Утилиты » Скачать, Advanced SystemCare, Настройка, Система, ОС, Windows, Ускорение, Оптимизация. • New Generation Engine - Remove more latest threats powerfully and thoroughly with new Bitdefender antivirus engine. • Fully Supported Windows 10 - Protect Windows 10 system against various threats proactively and in real time. • Enhanced Protect Module - Added DNS Protect & Win 10 Reinforce, and enhanced Browser Anti-Tracking to better protect your system and browser. • New Speed Up Module - Deeply optimize system, startups, disks and browsers for faster PC and browser. • Windows 10 Compatible - Support cleaning and optimization of Windows 10, Microsoft Edge, Modern Apps, etc. • New Auto RAM Clean - Free up RAM automatically for a higher performance PC. • Crafted New UI - More user friendly and support large Font Size and high resolution screen. • Enhanced Startup Manager - Not only boost your PC boot time, but also speed up your browsers. • Improved Default Program - Added support for Microsoft Edge. Set default browser and other programs with 1-click in Win 10 / 8 / 7 / Vista / XP. • Redesigned Toolbox - Added customizable My Favorite Tools, rebuilt Large Files Finder and Auto Shutdown, improved Win Fix and other 10+ tools for deeper clean and optimization. • Larger Database - Expanded database for Spyware Removal, Registry Fix, Privacy Sweep, Junk Files Clean, Surfing Protection for a cleaner and more secure PC. • Supported more than 30 languages. • And more can be discovered by you.